Looking fo info/pics of the above car,owned, designed and built by Paul Coffield of Durand Michigan. I have a pic of it running at Watterford Mi in 1962. Would dearly get any info on my late Uncles car. Thank you. You need to post pictures if you want any help with i.d. Is this the sled, whose pics you seek? The car posted with Honda engine isnt the one im seeking. 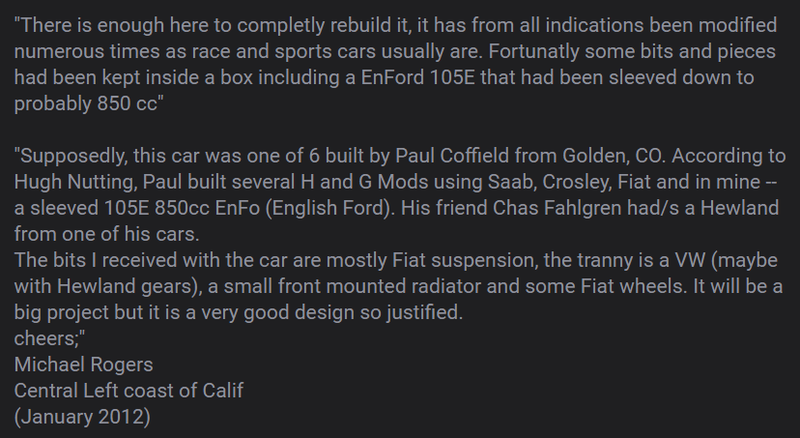 There is a pic of one of his 6 built mk3's in the cars gallerie at www.sportsracer.net under Coffield mk3. 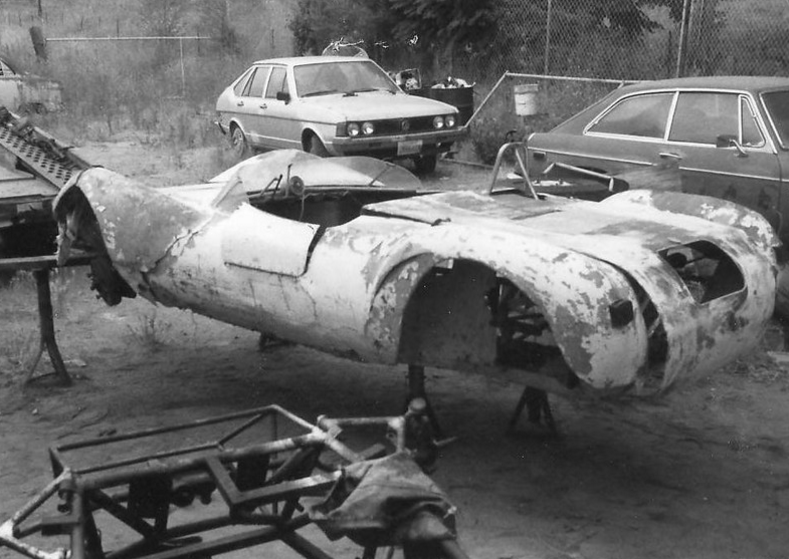 Its in need of restoration and disasembled in the pic. This is the one id like to duplicate. Any info would be MOST helpful. Yes, im still looking.. Thanks. ...a pic of one of his 6 built mk3's in the cars gallerie at www.sportsracer.net under Coffield mk3.